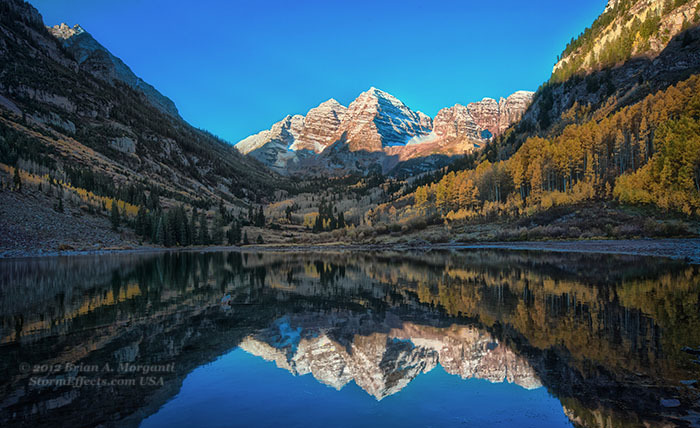 Our goal on this day was to first photograph the iconic Maroon Bells at sunrise just as the first rays of sunlight lit up the tops of the mountain peaks. 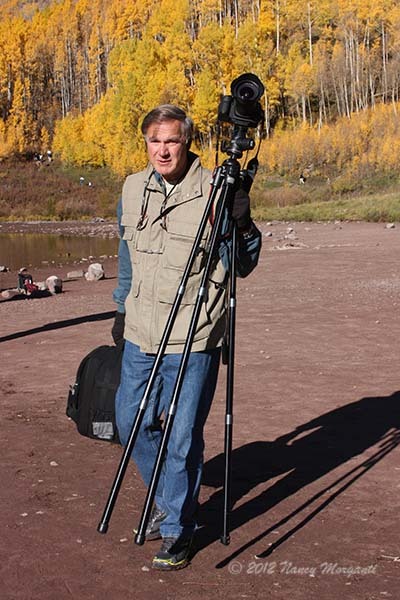 We made it just in time, and were then offered numerous photographic vistas of the "Bells" being reflected off Maroon Lake as the morning wore on. 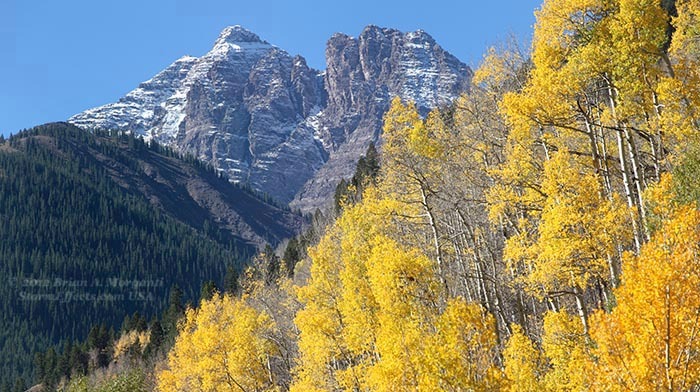 More striking views of these mountains occurred along Maroon Creek Road as we headed back north towards Aspen. The next valley east is accessed via Castle Creek Road which leads south to the "town" of Ashcroft and Taylor Pass. 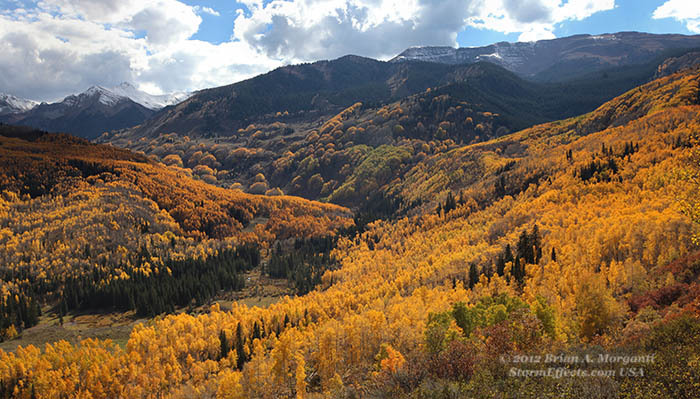 Castle Creek Road offers several more views of the colorful Aspen forests set against a backdrop of beautiful mountains. 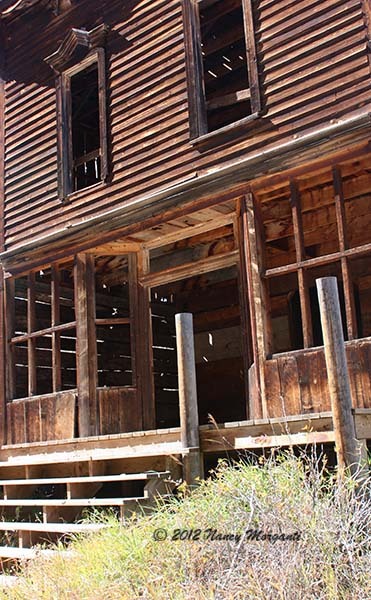 After a few obligatory shutter clicks in the restored ghost town of Ashcroft we headed to our final destination of the day a few miles to our west. 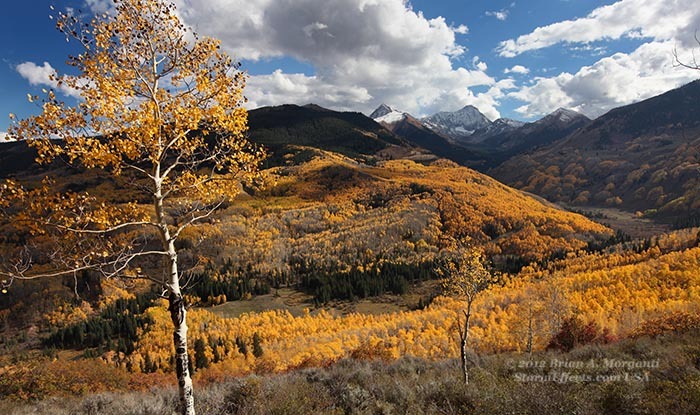 Capitol Creek Road heads south from the town of Snowmass along highway 82 west of Aspen and eventually leads to the grand vista of one of Colorado's finest peaks, Capitol Peak (14,130'). 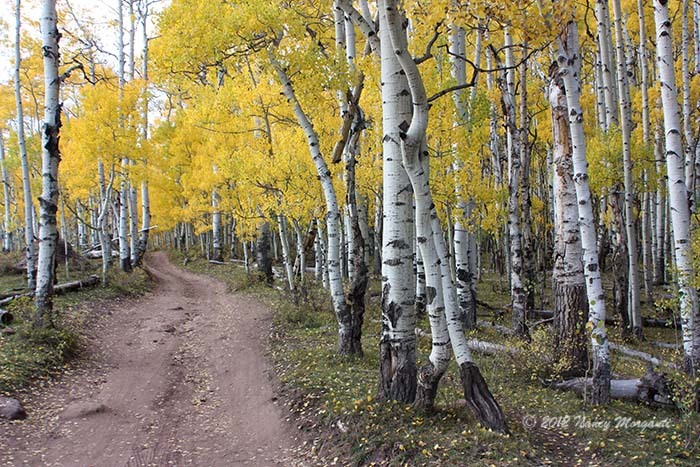 Along the way there are plenty of Aspen forests to photograph before the road becomes rather rough. 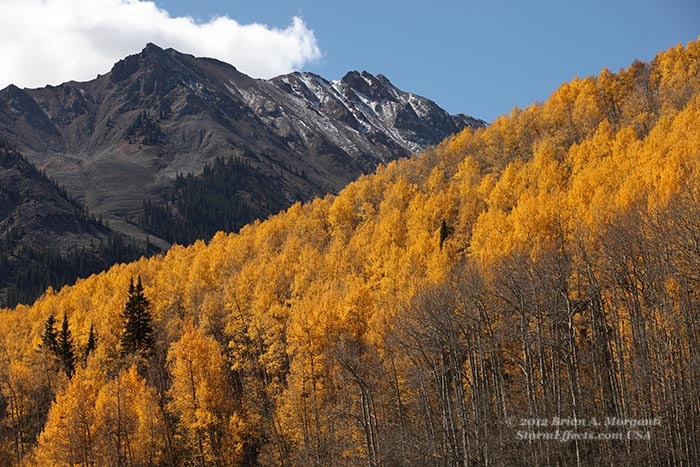 The final climb to the Capitol Peak Trailhead is mostly a 4WD adventure but is well worth the effort yielding spectacular views of Aspen filled valleys set against a background of the rugged snow covered mountain peaks of Mount Daly and Capitol Peak. 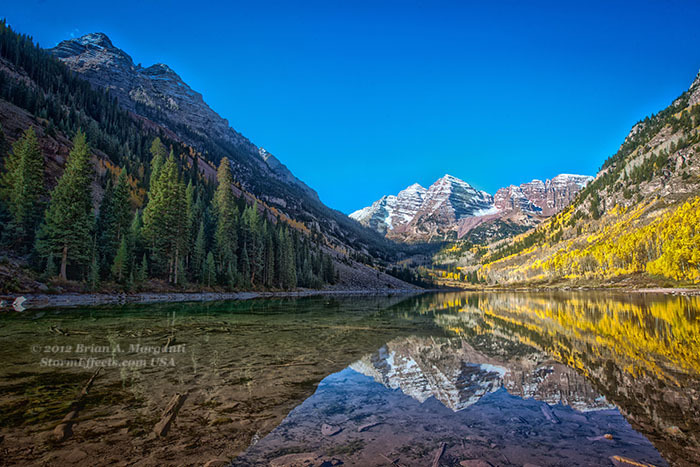 Maroon Bells & Maroon Lake at Sunrise. 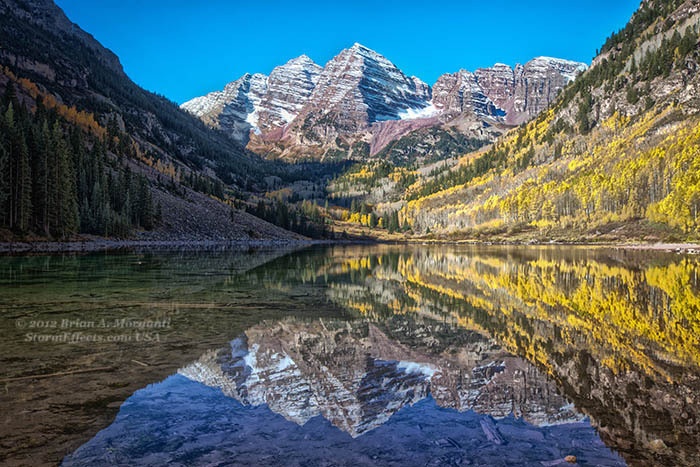 Early Morning Reflections of the Maroon Bells in Maroon Lake. 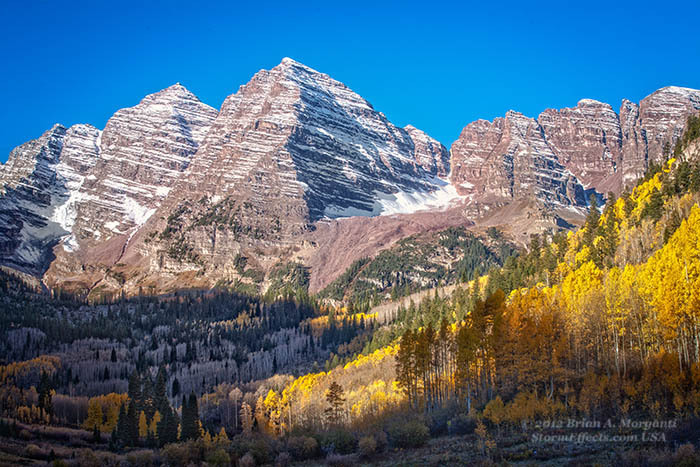 Morning Light illuminating the Maroon Bells & the Aspen Valley below. Late Morning Reflections in Maroon Lake. Wide Angle View of the Bells, Maroon Lake, and the Surrounding Valley. 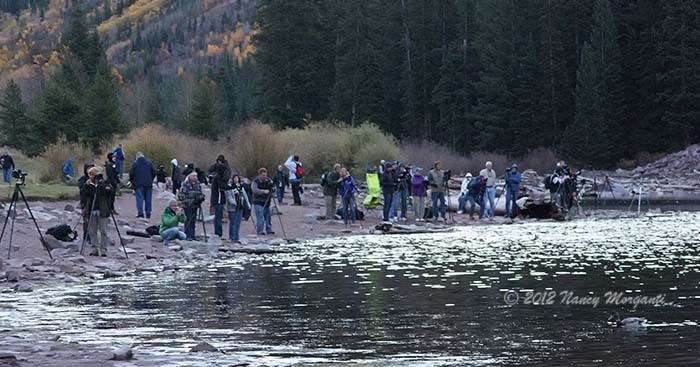 Taking the good with the "bad" photographing the Maroon Bells Vista at Dawn. 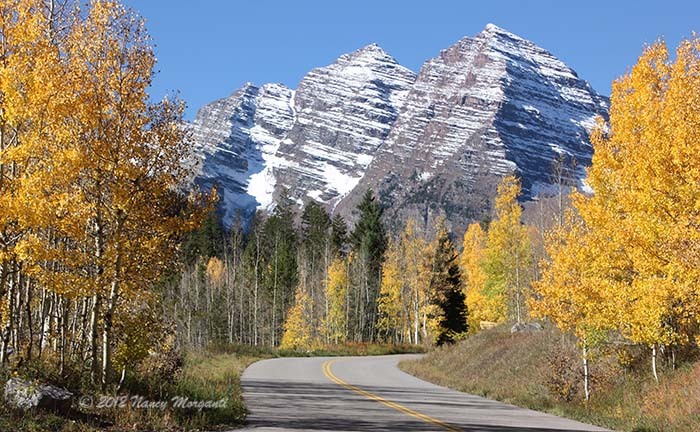 Maroon Creek Road leading to the "Bells". 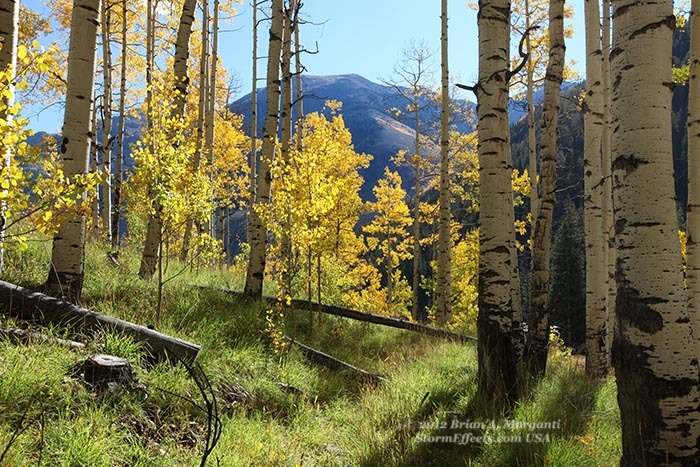 Morning Light on Aspen Grove. Aspen Framed Scene near Maroon Creek Road. 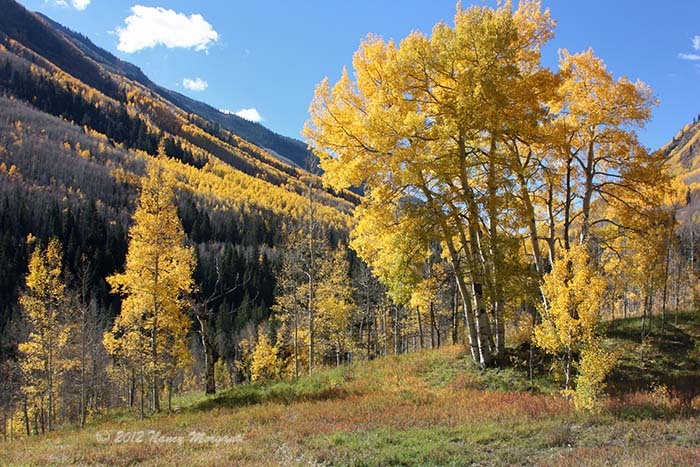 View through Aspens along Maroon Creek Road. 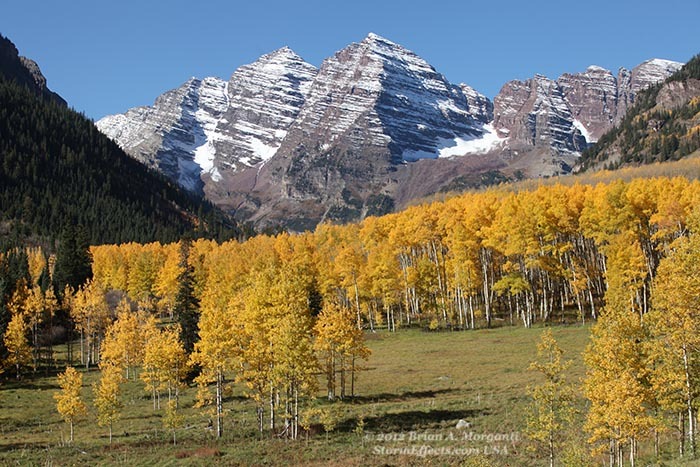 Maroon Bells and Sunny Aspen Meadow. 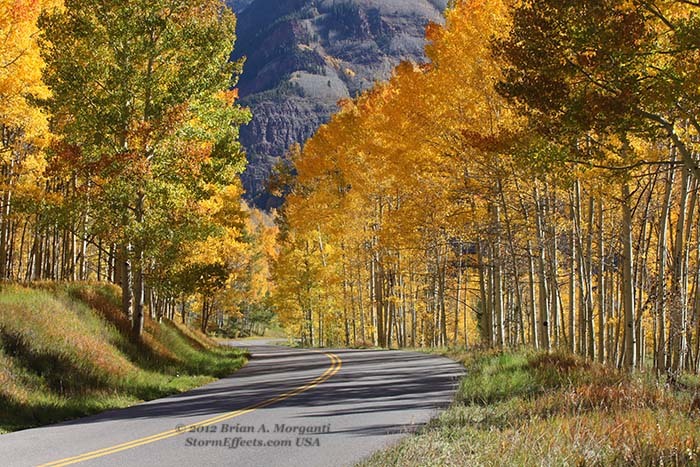 Maroon Creek Road winds through the Aspens. 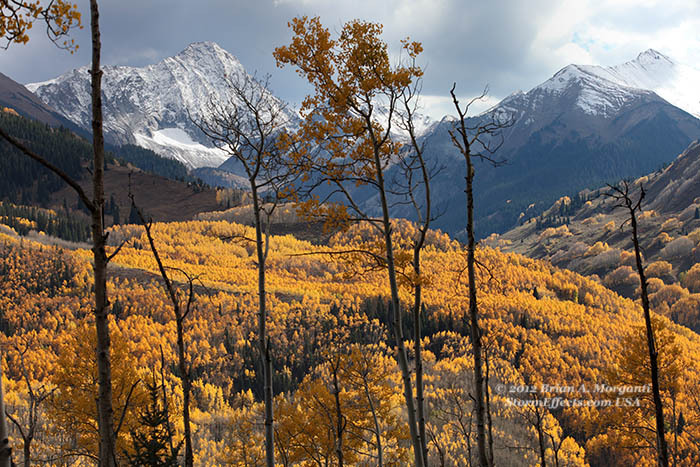 Aspen Framed View of the Maroon Bells. 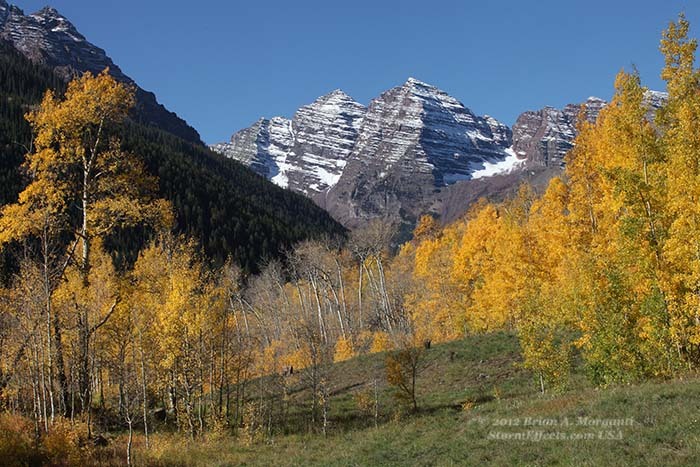 Looking Southwest along the northern stretch of Maroon Creek Valley. 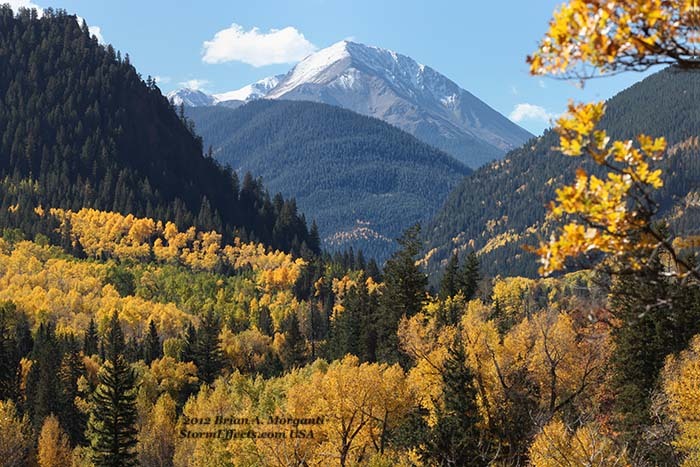 Mountain view framed by Evergreen and Aspen forests. 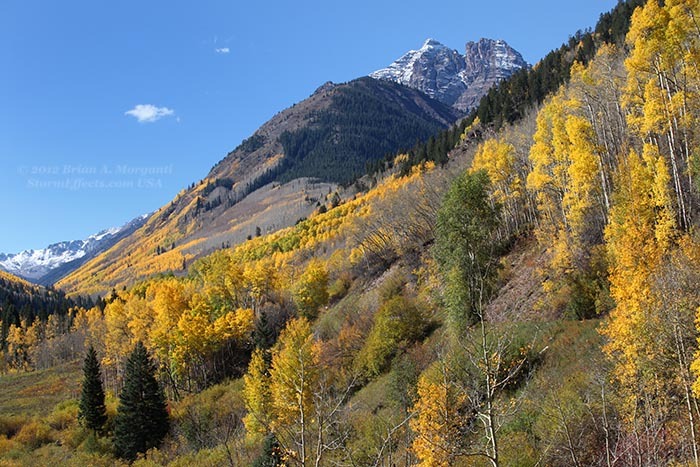 Mountain and Valley View from Maroon Creek Road. 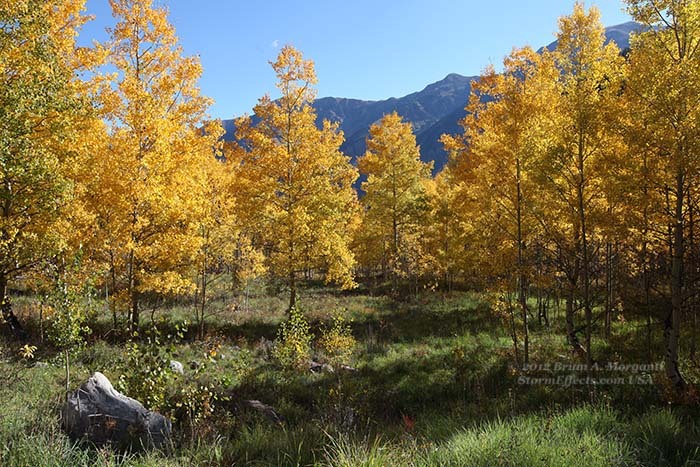 Golden Aspens along Castle Creek Road south of Aspen, CO. 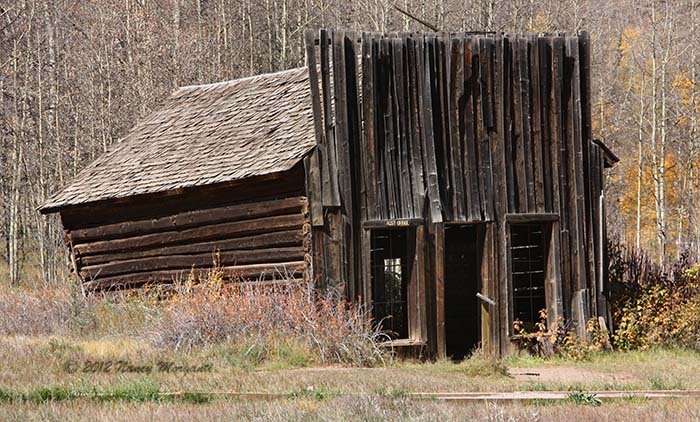 Downtown Ashcroft near the end of Castle Creek Road. 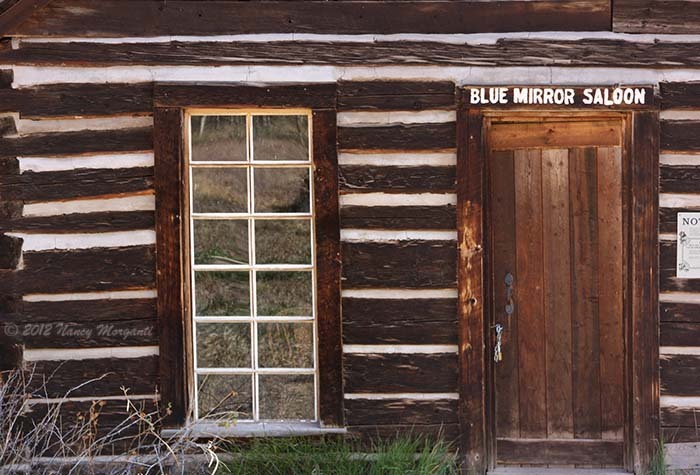 The popular Blue Mirror Saloon in Ashcroft. Peak Foliage Colors along Castle Creek Road. Capitol Creek Road leading to the Vistas at Capitol Creek Trailhead. View of the Capitol Peaks Vista from along Capitol Creek Road. Valley of Gold below Capitol Creek Road. 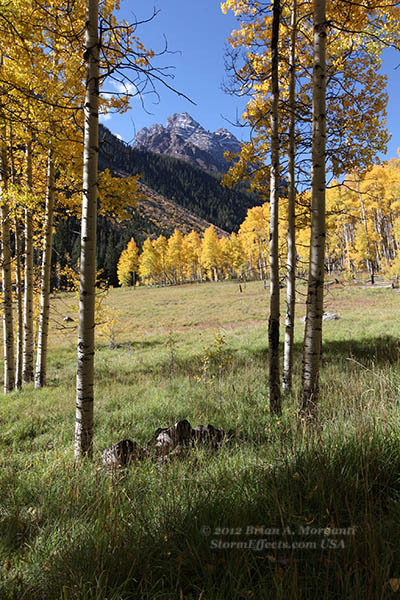 View of Capitol Peak on the left through the Aspens. 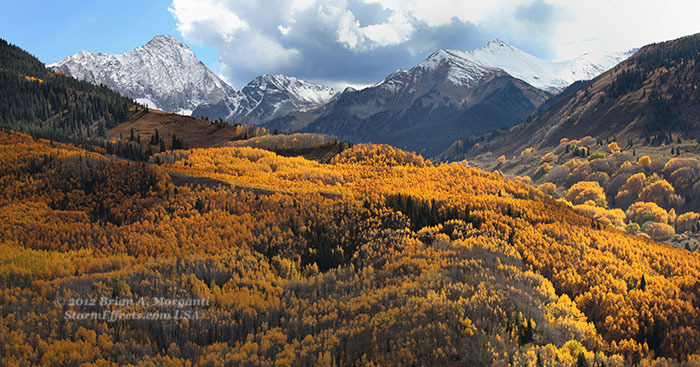 Mount Daly (left) and Capitol Peak (center) above a Valley of Gold. 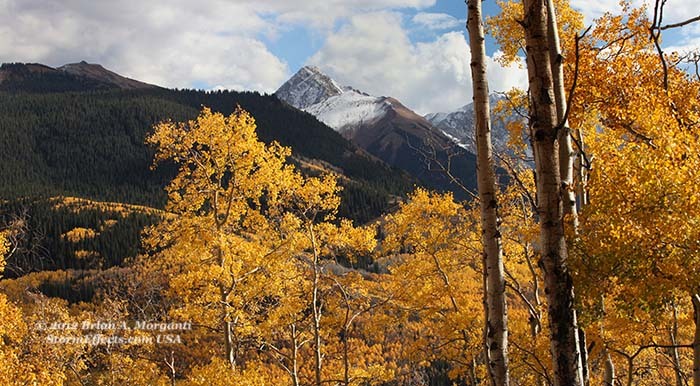 Mount Daly and Capitol Peak viewed thru the Aspens just below the Capitol Peak Trailhead. Wide Angle View of the Capitol Creek Valley from the Capitol Creek Trailhead. 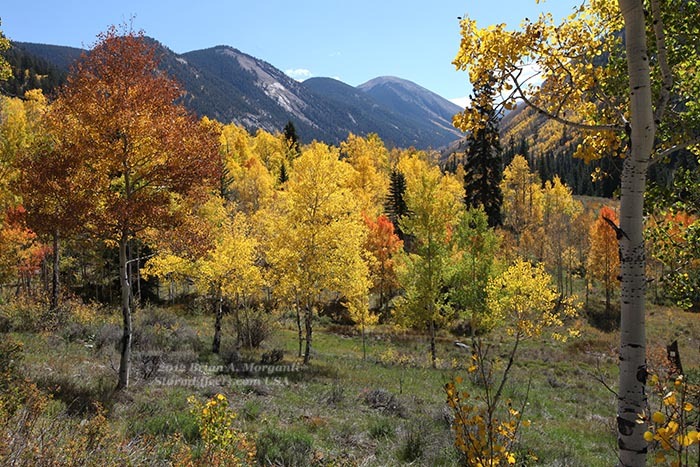 Mount Daly framed with Aspens at the Capitol Creek Trailhead.